Like OLEDs, mLEDs enable deeper blacks because they don't need a separate backlight. Samsung is making some of the most exciting TV news at the 2018 CES: The first consumer TV based on micro-LED technology (aka MicroLED, mLED, and µLED). You can think of the mLEDs in the 146-inch, 8K UHD (7680 by 4320 pixels) "The Wall" as significantly brighter, non-organic OLEDs that similarly provide their own individual, energy-efficient light source. Micro-LEDs eliminate the need for both a separate backlight and LCD shutters, so there should be little to no leakage of light in areas where you don't want it. In plain-speak, mLEDs should deliver vastly improved blacks while increasing the peak brightness of LED TVs. 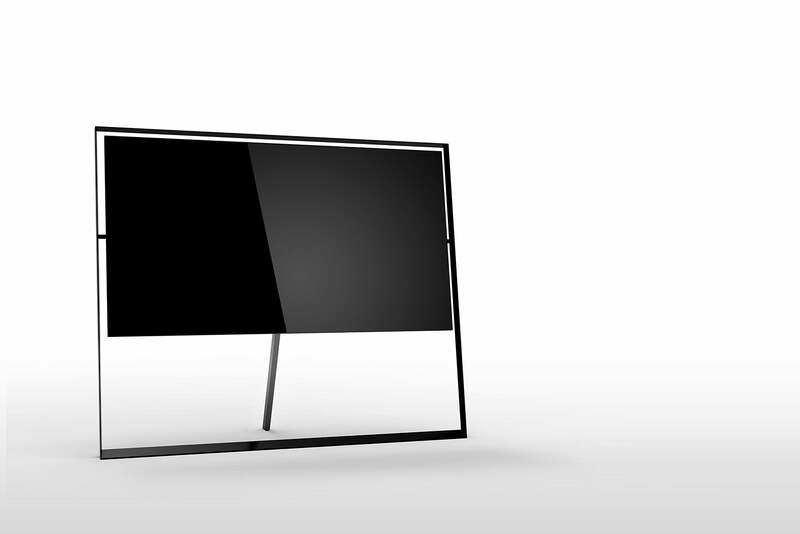 Actually, for the first time, LED TV (which was shorthand for LED backlit) won't be a misnomer. Samsung is the first company to deliver an mLED (MicroLED) TV. 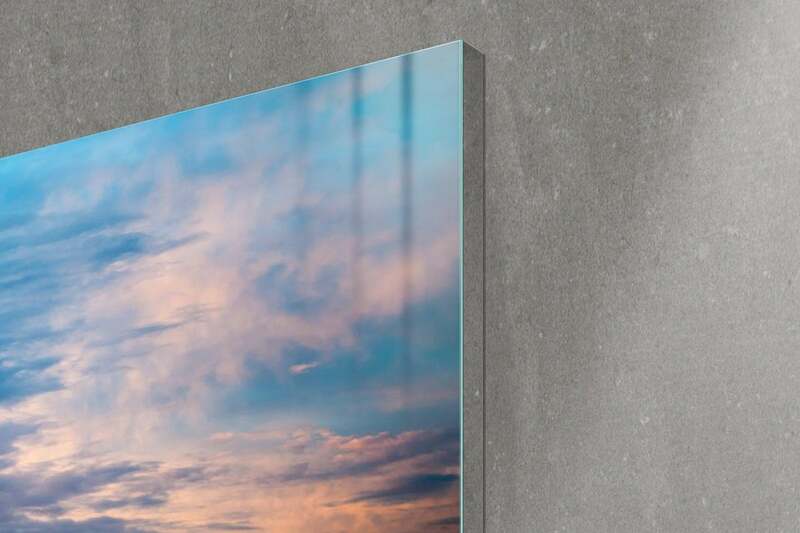 This image shows that the The Wall is thin enough to mount flush to the wall. .
As with others companies in the consumer electronics industry, Samsung has latched on to the acronym AI (Artificial Intelligence) and promptly started misusing it. In this case it describes the adaptive, "learning" algorithm used to upscale 1080 and 2160 (4K UHD) content for its new 85-inch, Q9S 8K (7680 by 4320 pixels) UHD TV. Yes, that new 4K UHD TV you scrimped and saved to buy is already sporting a resolution of the past, thanks to Samsung (and LG, which announced an 8K OLED TV last week). We'd love to soften the blow by telling you there's no 8K UHD content on the horizon, but the 2020 Olympics will be broadcast in 8K UHD. Samsung's new 85-inch, 8K Q9S TV. Samsung's 2018 smart TVs will support the company's voice-recognition digital assistant Bixby under the umbrella of Q Smart, which also shelters Samsung's IoT technology (think Amazon Echo, Apple HomeKit, Google Home, etc.). Samsung continues to push HDR10+, a royalty-free, open alternative to Dolby Vision and the successor to HDR10. Like Dolby Vision, HDR10+ supports dynamic metadata that can optimize the color palette and contrast of content scene by scene frame by frame. HDR10+ content is now becoming available, most notably with Amazon's The Grand Tour automotive comedy show. The only salient difference, which will be hard to spot with the eye on today's TVs, is that Dolby Vision supports 12-bit color, while HDR10+ renders exclusively in 10-bit color.